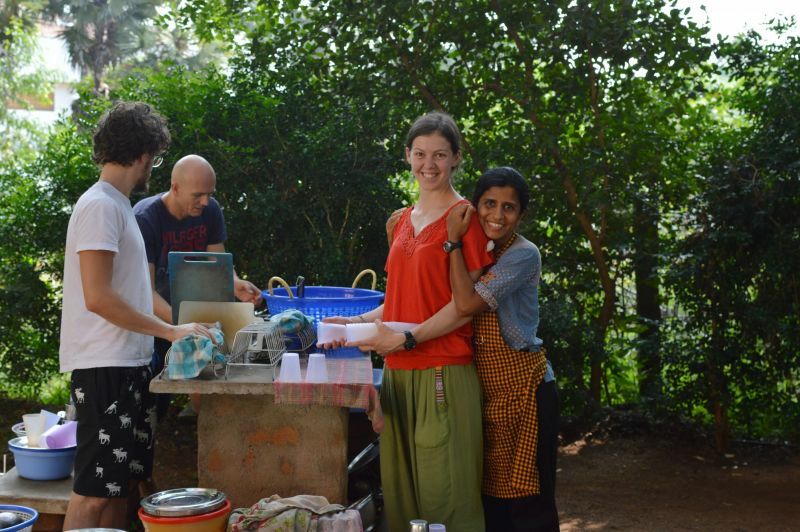 These are some of the common sentiments after an epic Karma Kitchen experiment in Auroville. Within 2 hours on a sunny Sunday, the team welcomed over 120 guests to co-create the magic of deliciousness and generosity. 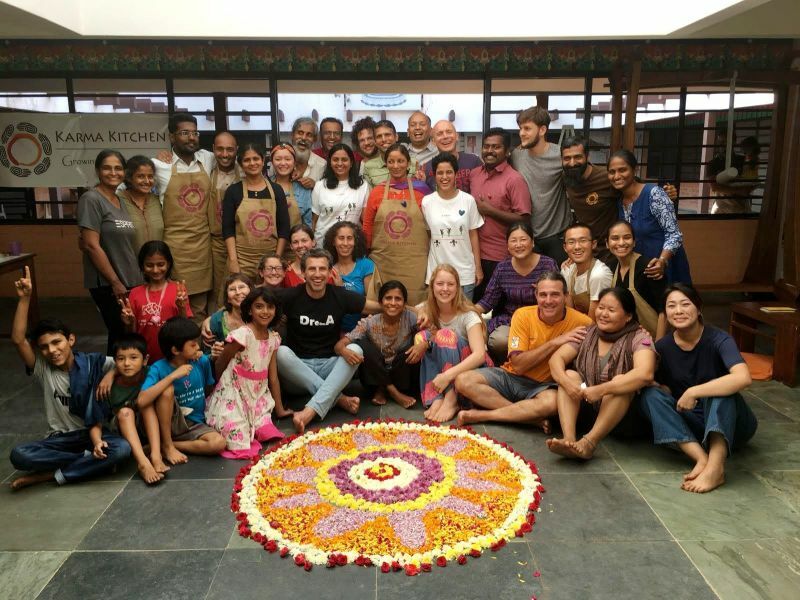 Karma Kitchen, a gift-economy restaurant, was the grand finale of a 3-day festival of love and kinship in Auroville hosted by ServiceSpace. 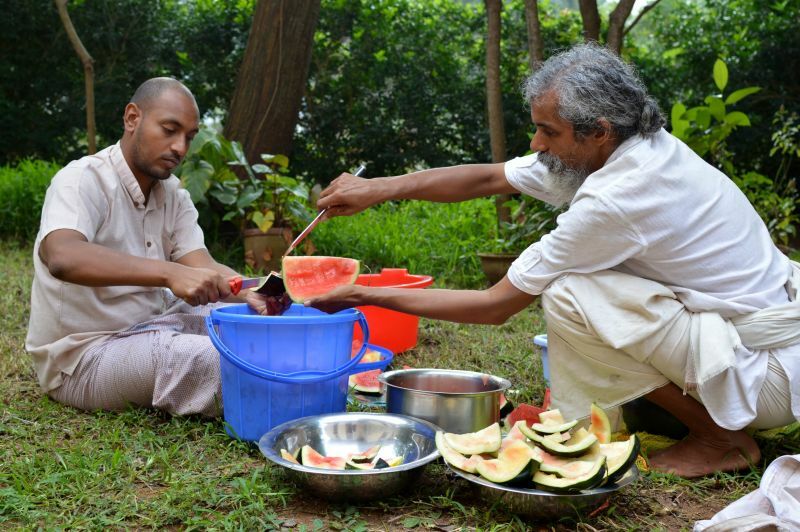 Sharing food is a basic and universal human tendency. 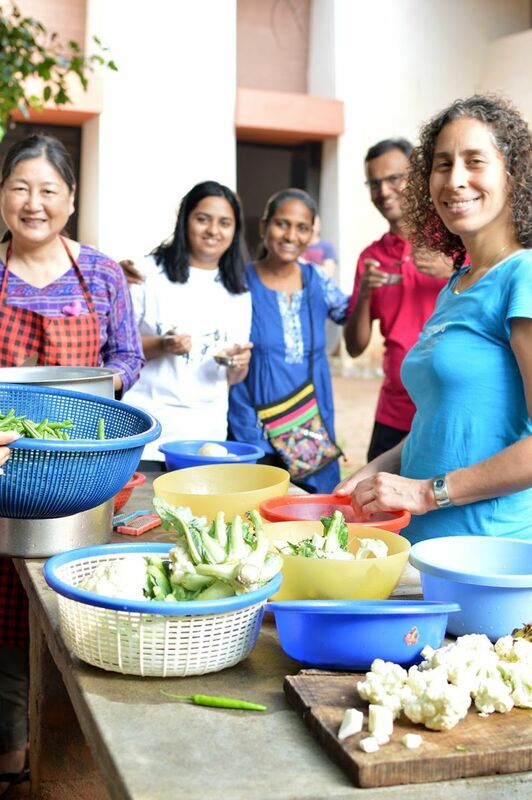 Feeding others and sitting down to a communal meal is a cross-cultural ritual that nourishes the spirit of giving. 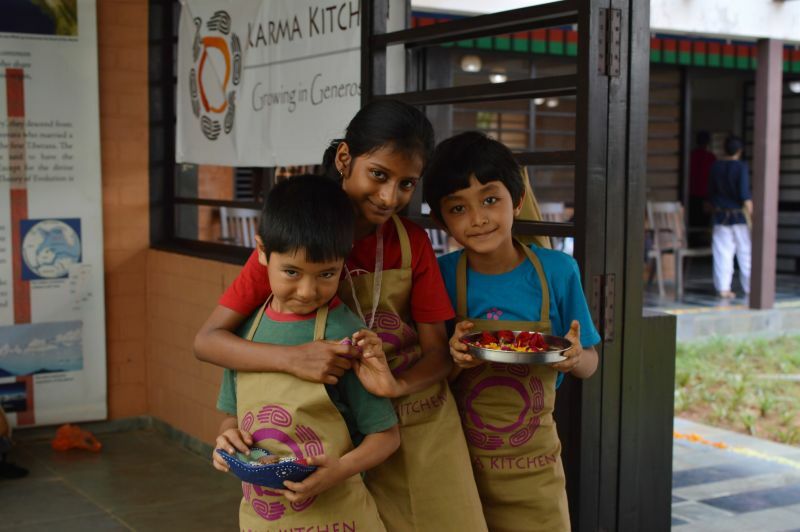 Karma Kitchen is one modern experiment to revive the ancient chain reaction of generosity in the context of a pay-it-forward restaurant. Entirely run by volunteers, our meals are cooked and served with love, and offered to our guests as a genuine gift, without a price tag. Guests are free -- and often inspired -- to pay it forward so that people after them could partake in the joy and magic. 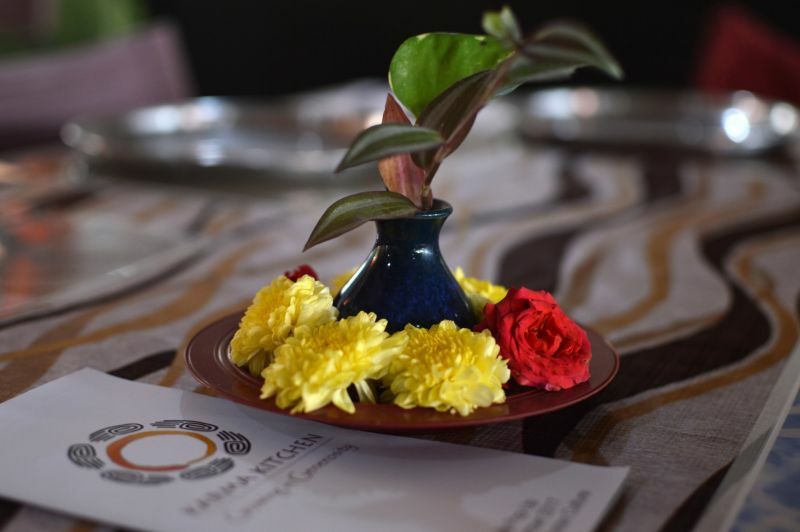 The volunteers also cultivate selfless service by cooking food, serving the tables, and engaging with the guests in enriching conversations and kindness activities. In keeping this chain going, both guests and volunteers help to create a shift from transaction to trust, from self-oriented isolation to shared commitment, and from fear of scarcity to celebration of abundance. 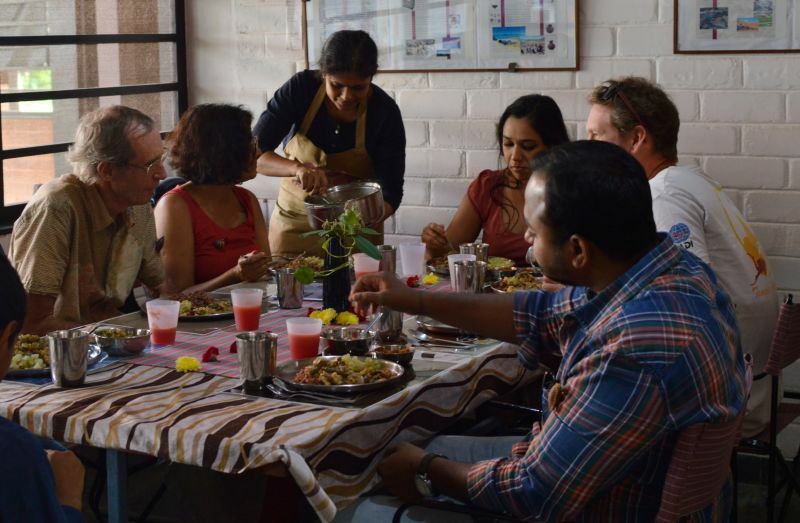 The preparation for the two-hour “pop-up restaurant” started weeks earlier, when Shaalini went around Auroville looking for an ideal location for the event. The team needed not just a physical space that could be transformed into a restaurant for over 100 guests. It also needed a place that shares the same spirit of generosity. 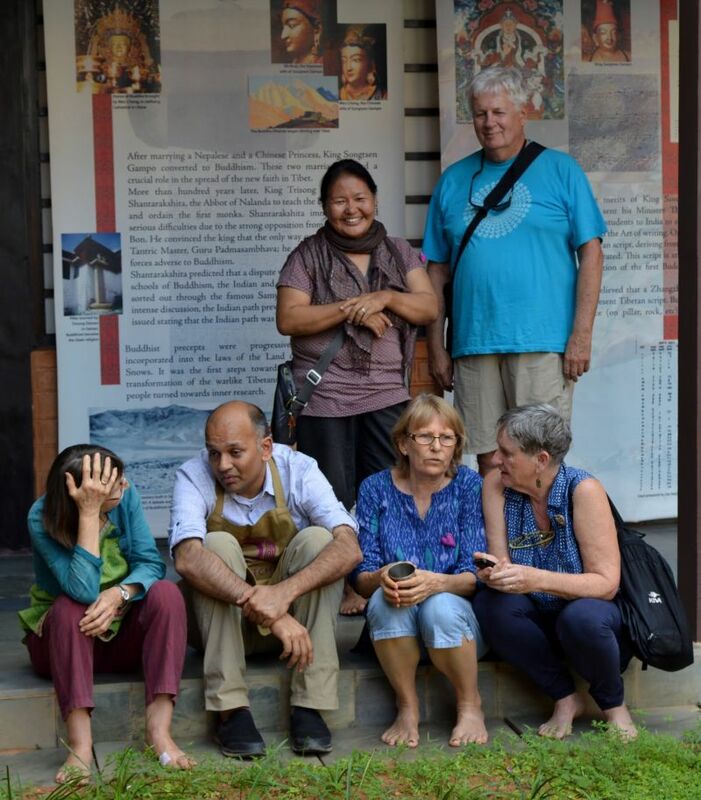 As serendipity would have it, after a few inquiries, Shaalini connected with Kalsang Dolma of the Pavilion of Tibetan Culture. 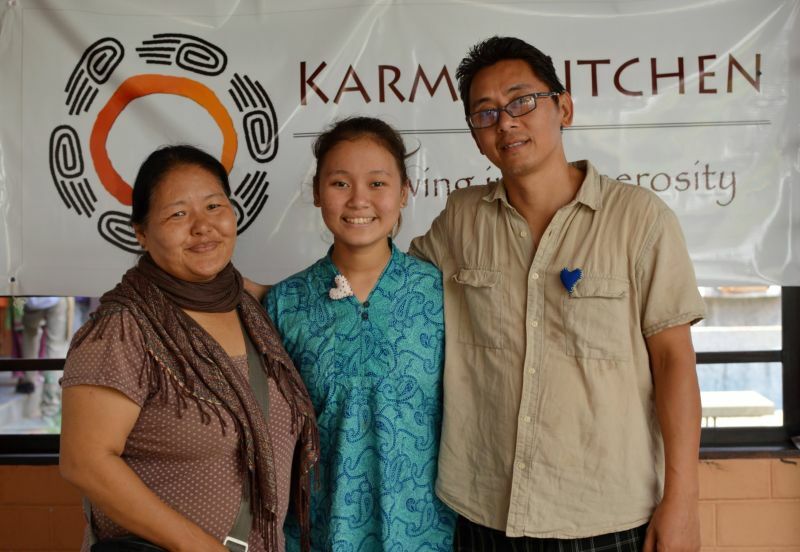 What’s unique about the space is not just that it was inaugurated by HH the Dalai Lama, but also because it has been running on gift economy since its inception. 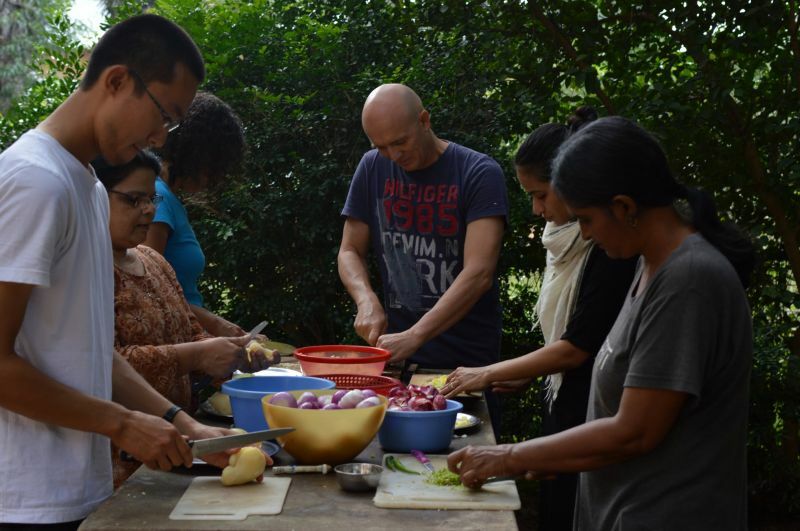 The kindred spirit is palpably felt as Kalsang, the manager of the Pavilion, joined the volunteer crew for the entire day, 7am-5pm, from chopping vegetables to lifting tables to “coming to the rescue” when the kitchen ran out of food. Two days before the event, we started to hear the kitchen team planning the menu as if chanting a mantra: sacks of watermelon, bags of beans… Aabha and Mark chose to forgo participating in the Startup Service retreat and worked the whole day -- without electricity -- in the kitchen to set things up for the volunteers. By 10am, the whole volunteer team gathered for a quick circle filled with laughter and excitement. 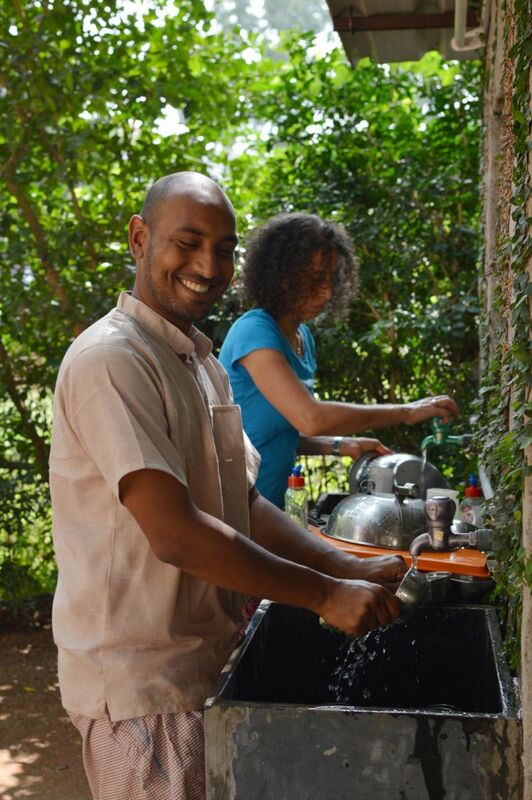 Roles were assigned on the fly: cooking, serving, washing, welcoming. 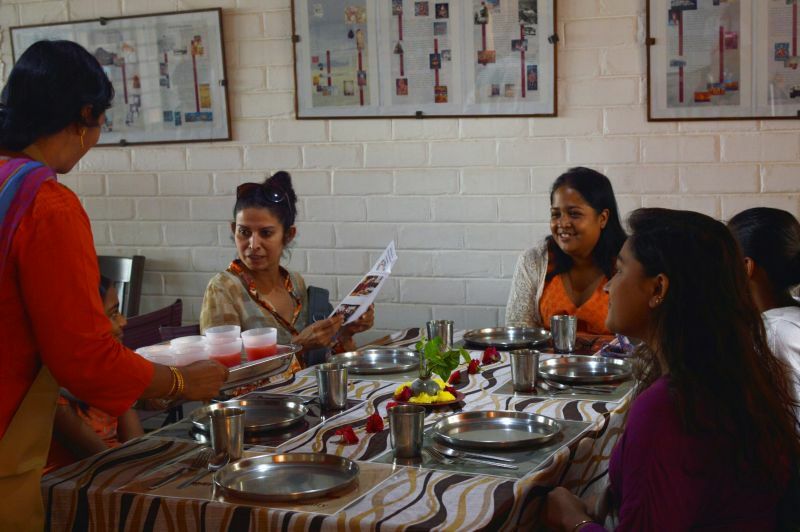 People who have never worked in a restaurant rolled up their sleeves and slipped on the aprons, eager to serve up a feast of love. Then, the guests came. First, in a trickle, then, in waves. 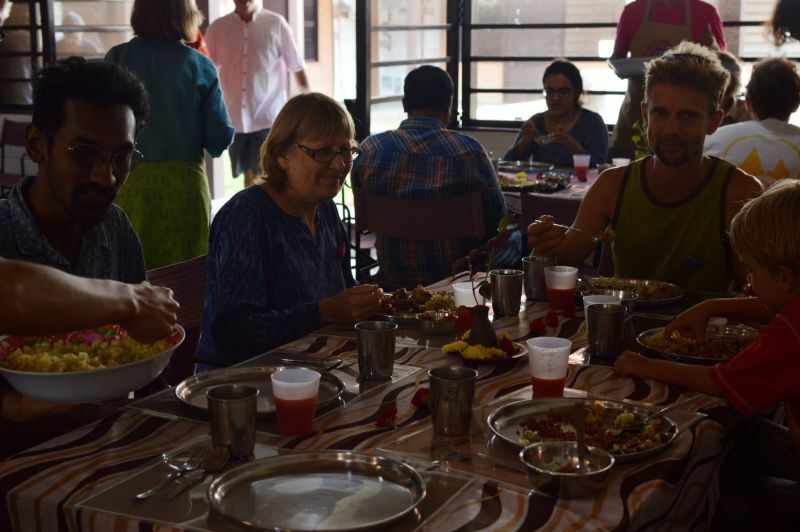 First-timers, old-timers, big families, solo travelers… “Come, come, whoever you are.” Smiles widened on every face, as bellies and hearts got equally filled to the brim. Strangers sit down at the same table, and witness each other’s journey and stories. New connections are formed, and old ties deepened over a conversation about our shared values. The dishwashing team was everyone’s amazement. 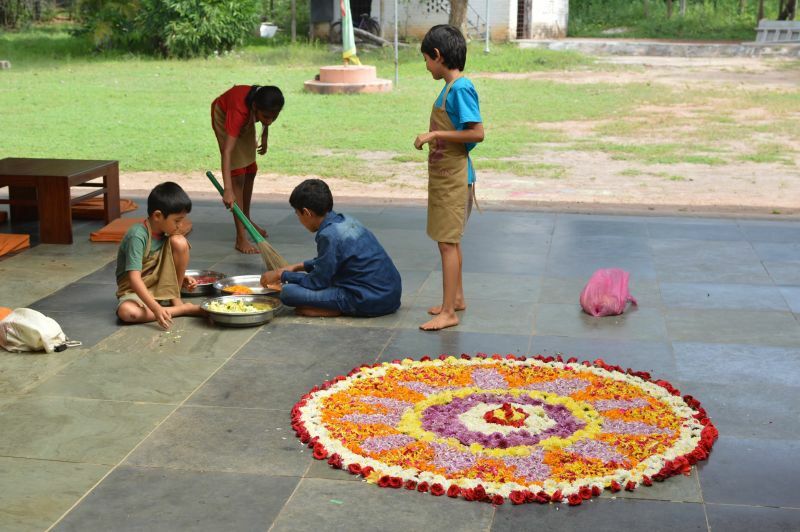 They must have washed a thousand pieces of dishes, while singing and laughing. Some people would bring dishes to the washing station just for the joy of watching them in action. Nisha thought the dishwashers would grow roots from standing in one spot for hours! The kitchen kept a steady flow of deliciousness coming. At some point, the kitchen ran out of the main vegetable dish because so many more guests turned up than expected. 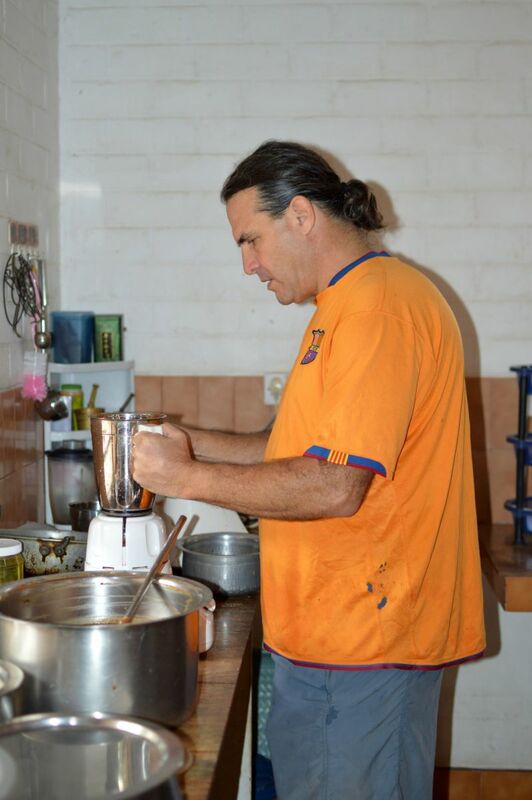 The kitchen team was like an arrow on a tensioned bow: as soon as the vegetables arrived (with much delay), they went into a total flow, with dishes and hands and ingredients flying in the air, reminding people of the classic scene in the hobbit’s house. As if by divine intervention, the new batch of vegetable was completed right when the first round ran out. After their meal, many guests simply didn’t feel like leaving. One elderly Aurovilian was unable to finish the food in her plate and requested if she can parcel it to eat later. Kalsang immediately went into the kitchen and bought a box to pack the food. 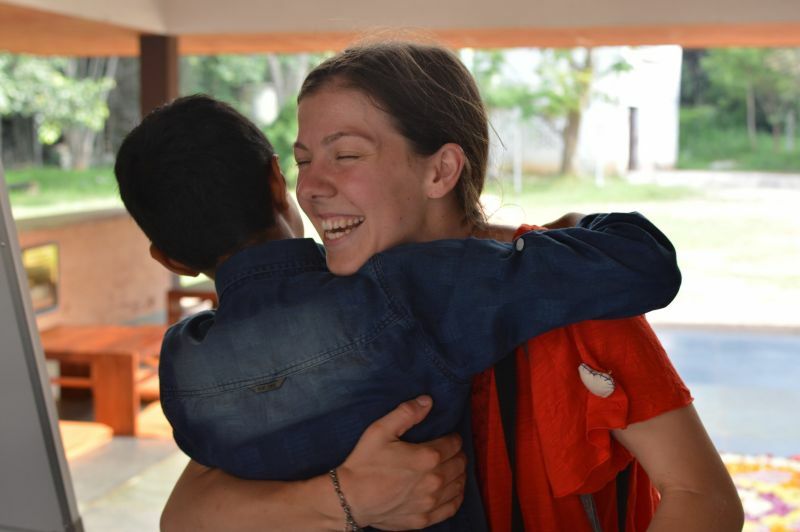 She was touched by this gesture and was visibly moved by the entire experience. As she walked out, she mentioned that she was visiting the Pavilion of Tibetan Culture after many years and she loved the ambience. 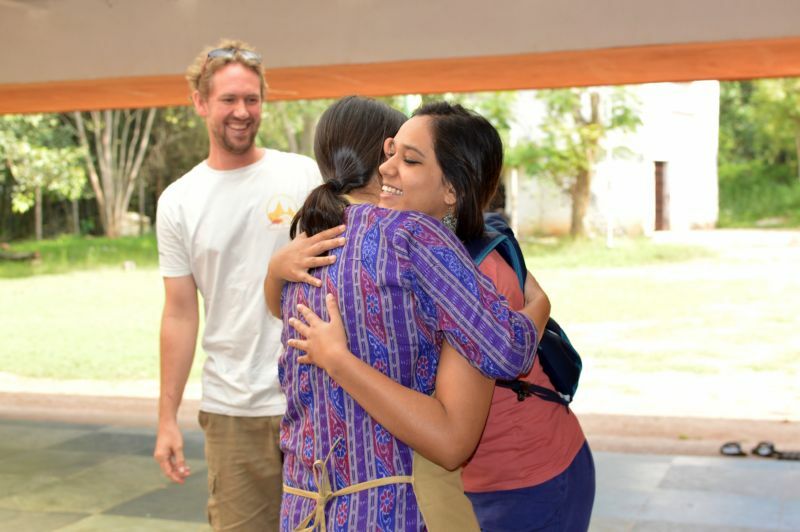 Then she asked Shaalini where she volunteers in Auroville. 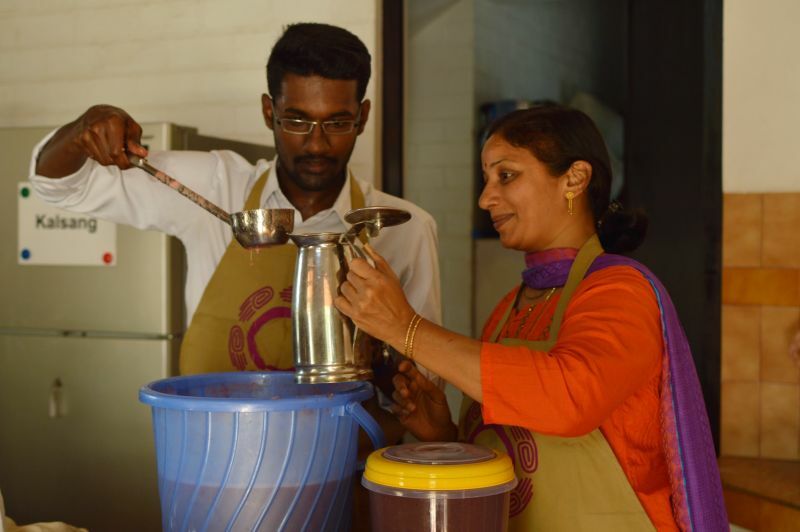 When Shaalini mentioned about holding weekly kindness circles with children at Deepanam School, the older woman teared up. She shared that today was very special and she will come back to return the box to Kalsang. And she did come again in an hour with the box and stayed on to pick some cards from the Kindness Table and hang around for some more time. In the end, we are all grateful for the opportunity to come together and “just do it”, and fill the place “with so much life”! Thank you . The vibrations could be felt . Hi Zilong, this is Xinyu(Junlu) Han from Kongjiang High School. As a student of Buddha, I am wholeheartedly insprird by what you are sharing here about the idea of Gift Economy and Karma Kitchen. Let me know when you will be in Shanghai. Best wishes to you.